As I leave this place, my feelings are pretty mixed. Senegal’s done so much for me. Living in Africa has been a really eye-opening experience and has led me down so many cool paths. 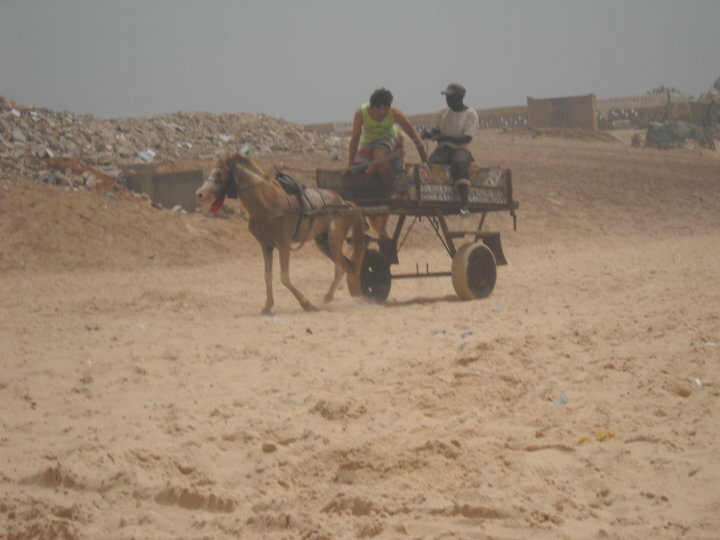 Lending to the Senegalese through Zidisha has allowed me to see a side of their culture I wouldn’t have otherwise seen. Also, having just finished the 17th grade (yeah, college took me five years), it felt pretty good to be doing practical work, that I truly believed in, outside of the classroom that helps people. Working for Zidisha was a blast. It was really cool to be a part of such a small operation getting off the ground, doing good work. Julia, my boss and the founder of the organization, was always there to help keep me on track, but gave me tons of liberty to do the job as I wanted. It was clear that she trusts me and takes my opinions seriously, which really helped me feel like it was my project, too. She’s done a fantastic job with the whole thing; I’m really happy to have found her. I’ve become really close with my African host family. They’re wonderful people who have really accepted and treated me like one of their own. Thanks to everyone who read this, my first blogging experiment. It meant a lot to me. I didn’t want to do it at first, for a few reasons, but I’m glad I did. It was fun to everybody what I was doing out here. I’m beyond excited to come home. This is a pretty pivotal summer in my life – having just finished college and preparing to move out west to start my first long term job – so I want to spend the rest of it seeing my friends and family. I’ll definitely have a whole new appreciation for the simple things like reliable electricity and running water in the morning. I can’t wait to get back to home to see my friends in Barrington and Urbana. I want to listen to Neil Young and have a barbeque. Turn on all my pedals and play my guitar really loud. I can’t wait to see my brother Billy. And my mom. I can’t wait to go to the Canopy Club and watch Santah play to a packed room and kill it. I want to swim across Icehouse Pond with my dad. And take Boomer for a walk. I also really need a haircut. Here's me and my friend Xander. This guy's excellent. Last weekend I went to St. Louis with some friends. It's the second biggest city in Senegal, so there was lots to see. The city has a lot of buildings boasting bright colors which you don't see as often here in Dakar. St. Louis has a different feel than anything I've seen in Senegal, and walking it's streets can be a real history lesson. During French colonization, St. Louis was the country's capital. Back then, France played a pretty big role in the city's growth/construction and today, the city still wears its french influence on its sleeve. 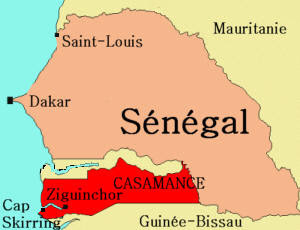 Since 1960, when Senegal won its independence, France did less and less for the former Senegalese capital. Today, you can see the vestiges of former French rule all over the city - wider streets, Christianity and crumbling french architecture - mixed with aspects of a Senegalese city, like mosques and goats. The Obama Shop sells cosmetics and bathing suits. Nothing to do with Barack Obama. At all. A fan of his work. A guy I live with has Barack Obama underwear. Most Senegalese people can't live without their Ataya, a sugary green tea that's served in small glasses. The people at my home don't do it much, but a lot of my friends in the neighborhood do it as an everyday ritual and invite at least a few people over every time. The tea has a really strong flavor and is made with a metric ton of sugar. It doesn't appeal to many expats, but I happen to like it. It takes about twenty minutes for each round of glasses and you can expect three or four rounds. Like most activities in Senegal, Ataya is usually a time for friends to hang out and talk to each other. Making the tea is just as important as drinking it. Heating the tea, mixing the sugar, cleaning the glasses, all have to be done in a very certain way. Even if I had done this every day after being here for six weeks, I wouldn't be able to do it like these guys. It's really amazing to watch. The tea is cooked in little teapots on top of mini charcoal grills or on a small butane stove. Like a latté, the foam is really important. To get a good foam on top of each little cup, they pour hot tea back and forth between two cups fifteen or twenty times. This gets the tea mixed and bubbly without using spoons or anything. This is part of the spectacle. The cups are usually pretty far apart when they do the pour-mix thing, making you wonder how they are so coordinated and never burn their hands. Then, they pour the liquid back into the teapot to steep longer, leaving the foam behind in the glass. They do this for each cup, usually about three or four, before finally pouring the tea back into the foamy glasses. The foam sits on top of the thick, green tea and proves that it was well-made. Don't worry, folks. These were only in for about an hour. Braids in three steps. While waiting for a boat to take me to Carabane, an amazing island off the coast of Casamance, I was invited in for lunch and conversation by a local family hanging out on their porch. It sounds crazy, but this is regular behavior for Casamance. I'm sure being a traveler had a lot to do with it, but still a very nice gesture. They loved my white-boy hair and went to town. By the way, if anybody's wondering why I'm wearing this shirt in all of my pictures. It's because I never take it off. I just got back from a six-day trip to Casamance (the region in red). So far, everyone who has gotten Zidisha loans in Senegal lives in the Dakar region. I was pretty eager to get to Casamance to spread the Zidisha love and travel around the region. I found a pretty cool balance between being half-tourist looking to experience everything / half-workaholic trying to spread financing in a region that really needs it. I don't really know where to start. I spent nights in Ziguinchor, Oussoye, Carabane, staying with different locals each night. With the exception of Ziguinchor, the region is pretty rural. I made some really good friends and got a 'real' look at the region, which would have been impossible if I'd gone the hotel route. It was pretty exhausting, but completely worth it. Also, it was an incredible lesson in human nature - the people in Casamance were the nicest and most welcoming bunch I've ever met, dying to know American culture just as much as I wanted to know theirs. In terms of work, it was frustrating at first. Like I said in an earlier posting, in order to be eligible for a Zidisha loan, the borrower must have access to and be able to navigate the internet. This is because Zidisha is a "peer-to-peer" service that requires that the borrowers interact directly with their lenders through the website. In the beginning of my trip, I simply couldn't find anyone that fit the bill. Before I went, I had a couple of contacts (mostly friends of friends) but only one of them came through and was of any use. My approach: to introduce myself to anyone that seemed thirsty for a conversation and see if they could point me to anybody who we could work with or could help me find people. After meeting countless people and explaining my work, it was pretty obvious that everybody wanted to be financed but didn't fit the computer literacy requirement. A lot of the region has no electricity at all and cyber cafés are a luxury that few can afford. I had plenty of fun while I was there, but at this point was frustrated that I had spent nearly a week without being able to find anybody eligible. Things turned around pretty quickly. My friend Bintou, somewhat of a local socialite, knew plenty of people that fit the bill perfectly and was able to meet with a half-dozen of them. I predict that at least a few will be on the Zidisha site soon, ready to be funded. The biggest success was Thursday night, my last night in Ziguinchor. I was invited to a local woman's home, who caught wind of what I was doing, to speak with "a friend or two" who were computer literate and interested in getting loans. I was ecstatic. I had finally found them at the last minute. It was around midnight, completely dark, and the power was out in the whole neighborhood. I was invited into a eerily candlelit concrete room with ten men and women who wanted to know more about what Zidisha was all about. Some of them had heard about it last minute and came in their pajamas. The meeting turned into a couple hours of getting to know each other, explaining the service and answering questions. Within 24 hours, I had met with and instructed 15 people on how to take the first steps to getting loans. For every person that wants to work with Zidisha, there's a lot of work I have to do back here in Dakar in order to get them on the site. So, 15 people is definitely more than I can handle, but I'd rather get a hold of too many than too little. It just so happened that I had to cram all of my work on the last day, but it allowed me to do so many cool things with the rest of my week. I came home from work the other day and ran into this group of guys. I wish I could give you a better story here, but I don't know exactly what they were up to. I know that they represent a certain sect of Muslim and were celebrating some sort of holiday. All I could think of was how they could be the perfect posse for the Black & White Knight at Medieval Times. 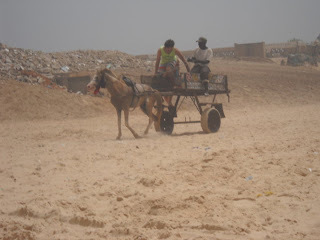 Like most sunny days in Senegal, it was really hot. I'm sure they weren't too comfortable decked out in their long robes, standing there for hours. However, it seemed like nothing else mattered to them. There was nothing else they would rather be doing than standing right there, on that sweaty street corner, celebrating their beliefs, with big smiles. The city is littered with these buses called "Car Rapides". They run (loosely) scheduled routes around the Dakar and make up part of its public transportation system. They are a sight to see: no two Car Rapides look exactly the same - all are hand-painted with unique designs and messages - and look like some sort of psychedelic party on wheels. It's pretty clear that most of these things have been pretty loved (AKA they are falling apart and are well beyond anything we would consider "drivable" here in the US). You can find them driving through crowded city streets and local markets, with streamers of all colors blowing in the wind, packed with so many people that they're often spilling out of the doors. It's no coincidence that in all of my photos of Car Rapides, the back doors are wide open. Almost every Car Rapide you see will have a couple of guys standing on the car's bumper, even on the highway at top speeds, casually holding on for their lives. I had a really good time the other day at Parc Hann here in Dakar. It’s a zoo / forest preserve that not only has lots of animals to see but also some walking paths through natural settings. It was refreshing to see this in a city where this kind of stuff is hard to come by. I was surprised to see how close I could actually be to these animals. It wasn’t at all like the zoos in the US where you are kept at a (safe) distance. There was a pretty personable Chimpanzee that was giving out high-fives through the bars of his cage and wouldn’t turn down anything that was handed to him. The camel was the most friendly. Sorry dude, I don’t kiss on the first date. If any of you have read The Little Prince, there's a pretty cool bit on Baobab trees. It turns out they're all over Senegal. There are quite a few in the city but I’ve heard that I’ll see tons when I travel to more rural areas. They are usually big and fat at the bottom and taper off towards the top. Baobabs are enormous and have these weird branches that kind of look like a system of arteries. There’s a joke here in Senegal that every Baobab was planted upside-down; what you see are the roots and there’s a really beautiful tree hiding somewhere below the ground. I know I've been talking a lot recently about this terrible sheep we have. But there's something you all should know: I just found out it's a goat. Still terrible, though. It’s been kind of weird walking around Senegal introducing myself as "Mack". First of all, my name is really difficult for the Senegalese to say. They have trouble making the ‘short A’ sound and end up somewhere around "Meck". Even when they get it right, they just seem confused. I ran into the same thing when I was studying in Paris; everyone thinks of “mec” which translates from French to something like “guy” or “anonymous guy”. They couldn’t handle it. A guy at work heard my real name was David and dubbed me Daouda, the Senegalese version of David. Also, my host family insisted that I inherit their last name to complete the picture - Daouda Ndoye (pronounced Dowda Ndoy). So that’s what they call me. It sounds kind of silly when they’re said together, but so does Mack McConnell, so no harm done. My host family got a pet sheep. She makes tons of noise when we eat and doesn’t like hugs yet. Hopefully she’ll warm up soon. Maybe she’s never seen a white person before? I named her Bamba before I knew it was a girl sheep. Because Bamba is a Senegalese man’s name, I got clearance to change it to Bambine which the whole family seems to dig. Oh yea, and she’s pregnant. I’m pretty sure the afro-lamb-babes will be here before I leave. Apart from getting my first African name and my first African pet, I also got my first African outfit. Fatoumata Niagne, a seamstress I am trying to help with a loan through Zidisha, gave it to me as a token of appreciation. I think it’s a pretty cool looking outfit on its own – kind of “african party boy” thing - but it was especially rewarding to get it from her because she appreciates what I’m doing. The other day I had a chance to check out the African Renaissance statue here in Dakar. It was only unveiled two months ago, to celebrate the country’s 50th anniversary of independence from French colonial rule, on top of a huge hill on the edge of the city overlooking the ocean. The statue shows a man, woman and child emerging from a volcano-type thing. Because it’s still so new, I’ve heard tons about it from people around town. Not to mention it’s HUGE, bigger than the Statue of Liberty, so it’s hard to ignore. Anyway, there’s a lot to be said about it. For the most part, it’s been pretty controversial. For one, people complain how the gov’t spent $28 million on it. Its true, there are bigger fish to fry here in Senegal – like unemployment (which I’ve heard is well above 50%), social services, etc… Also, the woman is showing some serious skin which frustrates a lot of the Muslim community in Dakar who prefer to keep their women more…clothed? People’s biggest beef with it, however, is how much it idolizes the West – the direction in which all three of the statue’s characters are pointing. I’ve even heard some people complain that the idea of having an enormous statue alone is “too western” for Africa. Not to mention the word “renaissance” directly refers to a period in European history. So, not only does the statue’s name echo a culture’s history that isn’t their own, it echoes that of their old colonizers. Recently in 2007, Nicolas Sarkozy, the President of France, gave a speech in Dakar in which he gave a call-to-action to Africa to develop itself – like no one’s been trying. In the speech, he kept encouraging the continent to “start a Renaissance” and to “finally enter human history.” Considering the sordid history between Senegal and France, he should have known to be more careful with his words and that the speech would be seen as terribly offensive. A lot of people over here openly hate the guy for his indifferent attitude toward Senegal, their old colony, a country that could really use the help. So it seems like the Senegalese have a lot of bad vibes toward the African Renaissance statue. Some think it’s ugly, but most hate it because of the deep political and historical implications. But the Parisians hated the Eiffel Tower and that glass pyramid at the Louvre at first, right? Look how those two worked out. Just playing devils advocate. 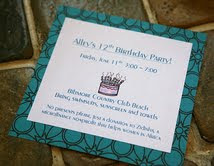 My little sister, Ashley, has decided to turn her birthday party into a Zidisha benefit. Nice move, Ash! I can't say I was nearly as selfless when I was twelve. By starting this blog, I never had the intention to encourage my friends/family to get involved in microlending. It was more of a 'look-what-I'm-doing' kind of thing. At the same time, it would be silly for me not to suggest the idea to you guys who might be interested in helping out. Sunday is a special day here in Dakar. It’s the day everyone brings their sheep (and there are lot of sheep) to the beach to get a bath. The sheep hate it and do everything to avoid getting wet. The kids love it. This was great. I saw it happen a couple times during my walk. A group of kids is try to wash a sheep, it gets freaked out and escapes. A hilarious chase ensues with kids and sheep all over the beach running in every direction yelling god-knows-what in Wolof. I've never seen a lamb move so fast! Like most things here in Senegal, this turns into a social event. Why wash your sheep alone when you can do it with some buds? When the kids are doing it, it's usually at least a 4:1 boy-to-lamb ratio. This one's the best. Like I said, the sheep don't go into the water easily. Check out how this guy is dragging the sheep in - by its right leg. If that isn't funny enough, check out the amazing face on the cute kid in the foreground. So smug. As I was going to visit a Zidisha lender the other day, I was in a cab that was stopped by the police. Not because he doing anything wrong, more of a routine checkpoint. The cop was on foot pulling over whoever he wanted to. When my driver handed the police man - "le flic" - his papers, the cop walked away and started doing something else. The cab driver was a little frustrated, got out of the car and had a conversation with the cop. This was my first visit with a Zidisha borrower at their business. So far, they've been coming to me, but from now on I'll be visiting them. This woman has a pretty cool story. She is from the Senegalese island of Carabane, close to the city Casamance. I've heard it's the most beautiful part of Senegal - and apparently it takes a day and a half just to get there from Dakar. She started a sewing business on the island a few years back and has been able to employ several job-less people from Carabane. Recently, she's started a system where five students are able to learn vocational skills on her machines and observe the employees do their thing. In a couple weeks, I'll be visiting Carabane to check it out, take some pictures/video and do a write-up on it for the Zidisha site. There's no electricity on the whole island - she said the hardest part about starting her sewing operation there was getting power generators onto the island. Her loan is being used to open up another atelier in Dakar along with some retail space to sell the clothing from Carabne on the mainland. For a while now, she's been able to do the opposite - buy clothing in Dakar and sell it in Carabane because everyone there thinks it's pretty exotic and cool. She's expecting the same response from the people in Carabane to the clothing from Dakar. Tailors are taken really seriously here and there's strong differences in local styles. It's really popular to have custom-made clothing in Senegal, especially for women, so you see tons of commercial tailors all over the place. They're really amazing at what they do. The work this woman does is pretty cool. Here is a picture of some of the handywork she did on a man's shirt she showed me. Part of her loan money is being used to buy new thick thread. Making designs like this, it's no wonder she always needs more! My name's Mack. I'm living in Dakar, Senegal. Isn't that cool? I'm working here for the summer as the first ever Senegal Client Relationship Manager with Zidisha, Inc., a peer-to-peer microlending institution. I really believe in microlending (AKA microcredit, microfinance) as a way to transform economies in the develolping world - you can read a bit about it here: http://en.wikipedia.org/wiki/Microcredit.